Beyond the praised rehabilitation of Manila Bay lie the planned reclamation projects which the government neither denies nor admits. Many Filipinoso online recently commended the clutter-free coastline of Manila Bay after the initial phase of the rehabilitation called “Battle for Manila Bay” was done. 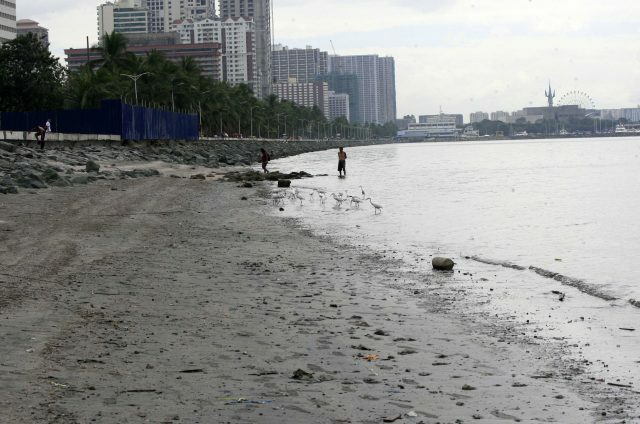 The cleanup, which involved many government agencies and volunteers, is a fulfillment of a long-time call to preserve and rehabilitate Manila Bay by virtue of a Supreme Court order in 2008. Huge swathes of the bay, however, will soon be reclaimed to launch various infrastructure projects. President Rodrigo Duterte signed Executive Order 74 that places the power of approving reclamation projects from the National Economic Development Authority or NEDA to the Philippine Reclamation Authority or PRA, an office directly under the Office of the President. Duterte assured that no reclamation will take place without an Environmental Compliance Certificate from the environment agency and an area Clearance. This development came months after Manila Mayor Joseph Estrada and Pasay City Mayor Antonino Calixto signed a memorandum of agreement with big companies to construct three massive projects on Manila Bay. Meanwhile, several members of the Makabayan bloc cited a total of 43 reclamation projects covering more than 32,000 hectares of the bay as stated in House Resolution 2452 they filed seeking to suspend the rehabilitation program. These lawmakers are Reps. Antonio Tinio and France Castro (Alliance of Concerned Teachers), Ariel Casilao (Anakpawis), Carlos Zarate (Bayan Muna), Arlene Brosas and Emmi de Jesus (Gabriela) and Sarah Elago (Kabataan). “The rehabilitation program could be a prelude to 43 reclamation projects covering more than 32,000 hectares in the bay under the Build, Build, Build program,” they said in the resolution. Assistant Secretary Jonathan Malaya of the interior department initially denied that no land reclamation will be done. “Again, this is clearly misinformation. There is no place for reclamation in the rehabilitation program. In fact, Secretary [Eduardo] Año is personally opposed to reclamation projects,” he said. Malacañang, on the other hand, welcomed the possibility of the reclamation project, since such venture would generate additional income for the government and create jobs. “With respect to reclamation, even the government will benefit from that 65-35 (split), we get 65, it’s big—that will generate income for the government and will generate jobs—because they will be establishing structures there,” Palace spokesman Salvador Panelo said. Some Filipinos also raised concerns over the upcoming construction in the historical site. Land reclamation refers to the process of creating land from bodies of water such as lakes, bays and rivers. Based on the signed agreement, three major reclamation projects are scheduled to kick off soon. Their proponents or representatives are the Tieng family’s Manila Goldcoast Development Corp., the Sy family’s SM Prime Holdings Inc., and the Pasay Harbor City consortium involving Davao City-based businessman Dennis Uy. The MGDC’s venture, soon to be called Solar City, will reportedly start early this 2019. It involves three 140-hectare islands which will affect the southern part of the Manila-Cavite coastal road. This is the third time that the MGDC proposed to reclaim land in Manila. The company got rejected twice, in 1993 and in 2013.